Sorry I haven't posted on this for a while but this is still getting traffic so thought I must continue with it! 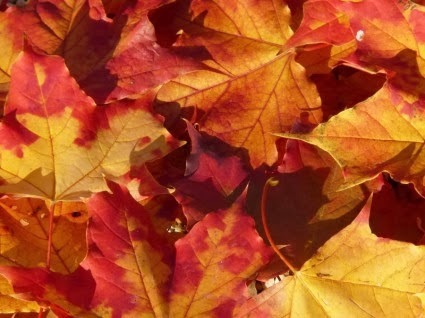 Autumn has set in hard with us and leaves are falling so I will be sure to use them up, and one great thing you can do is make leaf mould, and why should you? It's perfect for a nice mulch for the plants and can be used as a mix in your garden soil to add more nutrients. Firstly grab a black bin bag or any bag that you can't see through and fill it three quarters of the way up with leaves, then sprinkle in some water, tie it up and poke a few holes in the base. Finished the hard part already, now place the bag(s) in a sheltered place and forget about it till the following autumn and either dig it into the ground or keep it for the spring and mulch your young seedlings, how easy! So that's that, a video will be made soon but if you would like to see my latest videos just go and browse them here. Thanks for reading and stay tuned for more tips! How do I know that my Corn is ready? Answered!